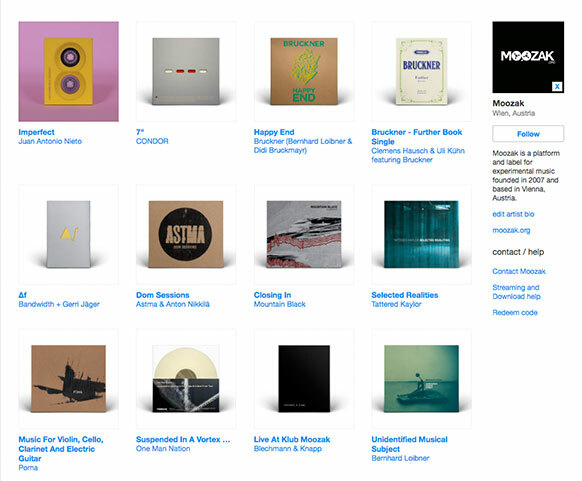 MOOZAK, founded in spring 2008 in vienna, is a record-label for experimental music with heart and soul and aims at sounding the borderlines of musical expression. We are into ambient, noise, improvisational music, electroacoustics and many other subgenres and would like to broaden your musical perception with a carefully selected release policy. IF YOU WANT TO BE INFORMED ABOUT NEW RELEASES & CONCERT DATES SUBSCRIBE TO OUR NEWSLETTER HERE. Antlitz by Jakob Schauer is officially out! Get your copy of this amazing release at our bandcamp page. Preorder Antlitz by Jakob Schauer now at our Bandcamp page! 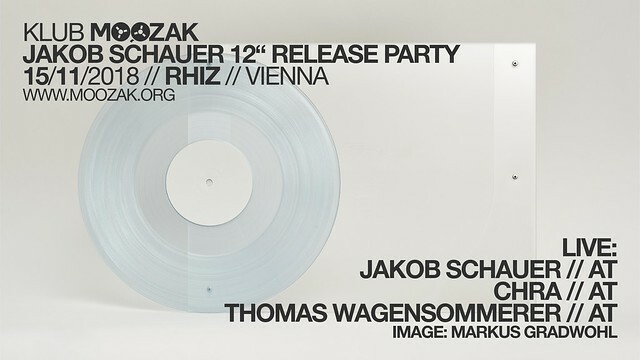 A new Moozak release is just around the corner: Jakob Schauer's debut album "Antlitz" will be released on november 15th. Celebrate this day with us at the 96th edition of KLUB MOOZAK at Rhiz Vienna, thrusday 15.11. with concerts by Jakob Schauer, Chra and Thomas Wagensommerer as well as djing by Alexander Vatagin. With awesome community support by VELAK, Zentrale, Signal ZirkuS, Klyelehof13, Steinergasse 8 and many more! 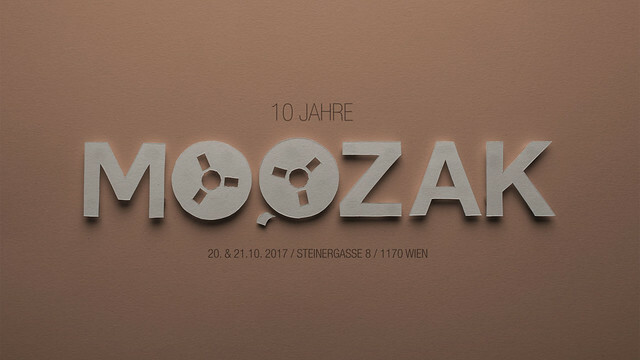 More information at the facebook event page 10 Jahre Moozak! The latest and greatest Moozak release is available for sale now on tape: Imperfect by Juan Antonio Nieto! It comes in handmade covers that are customly designed and composed of multiple layers of lasercut 300g cardboard, all assembled by hand and available in 8 tasty colours! Download codes are included with eacht tape! The beauty of errors, asymmetry and imperfection are the defining features of "Imperfect", the latest release by Spanish sound artist Juan Antonio Nieto on the Viennese label Moozak. Often discarded or corrected, digital errors represent an inexhaustible source of sounds and unique and unrepeatable structures. "Imperfect" is an orderly chaos, a collection of reworked improvisations, in which some very obvious and other almost imperceptible errors give the work an essentially non-repeatable character. In these highly abstract digital compositions structures of crystalline sharpness and rough Lo-Fi noise are contrasted - occasionally supplemented by Drones, which evoke a vague reminder of harmony. Filled with buzzing, crackling, sizzling and hissing sounds Imperfect sketches sceneries that do not suggest a natural origin, but evoke a credible alternative reality through their complexity - like a glitch anti-world that exists beyond our familiar environment and which we allow to break through into our domain in order to fill the space around us for 46 minutes. A new Moozak release is close: CONDOR by Luis Conde and Wolfgang Fuchs will be released as 7" vinyl limited to 80 copies. 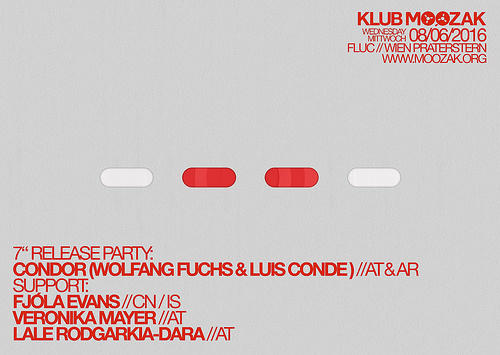 It will be presented on 8th of june during KLUB MOOZAK edition #84, featuring Wolfgang Fuchs playing live at fluc, while Luis Conde will take a telepresence transmitted live from argentinian radio. The will be supported by the canadian/icelandic composer Fjóla Evans, Veronika Mayer and Lale Rodgarkia-Dara. Save the date!